Sweet and gooey caramel with a dash of salt. 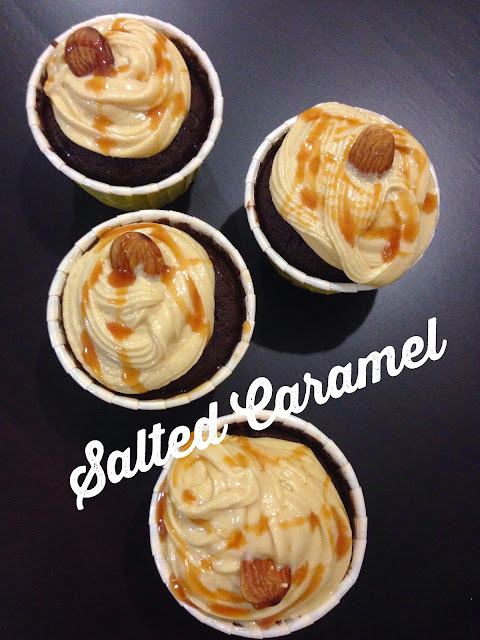 Aaah, Salted Caramel is probably my favorite cupcake of them all. The perfect combination when you're craving something sweet and salty. It's always that flavor that I crave on those days that I want to eat a cupcake. That, and maybe because I am a bit partial to caramel. Give me caramel anytime and I'll be one happy girl! This time around, Jen and I decided to make a huge batch of chocolate cupcakes with salted caramel filling and frosting. Oh, joy! Our labor of love. 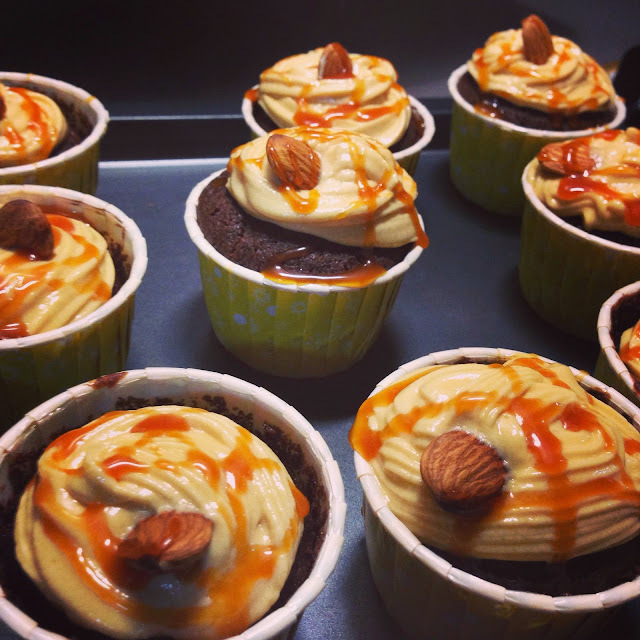 Chocolate cupcakes with salted caramel frosting.